In celebration of the fifth anniversary of this inspiring story, we present a special hardcover edition featuring The Little Engine, proudly chugging away to achievement! With simple, rhyming text that is truthful and encouraging and applicable to all ages, it is no wonder that I Knew You Could! has been such a bestseller over the years. This new edition is sure to make the perfect gift for friends, family and graduates of all ages. About Craig Dorfman (Author) : Craig Dorfman is a published author of children's books. Published credits of Craig Dorfman include I Knew You Could! 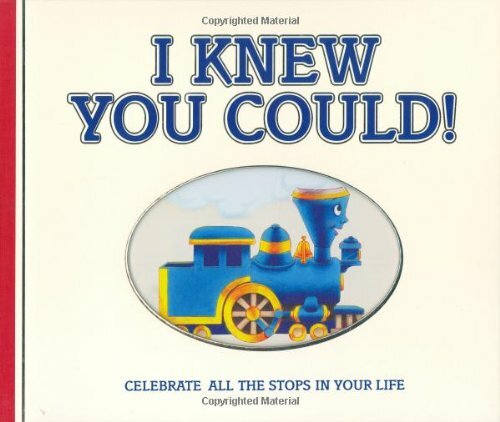 : Celebrate All the Stops in Your Life (Little Engine That Could).